The bulk of the black magicians work is through mind power alone  not rituals and curses. My book is about mind power. There are no rituals; no summoning of devils and demons. Let me illustrate. There is something I present as a little trick; You're a man and you're at a party or some social function. A particular female interests you. Use of mind power will make her aware of you, so you introduce a little trick and just by a few simple words, with your projection of thought, you can get her interested - very interested  - in you. This could be called instant hypnosis or mentalism or whatever; but it happens without her hardly realising it. Certainly no-one else present will realise it; but it will have achieved its purpose. Some would call this immoral. Enter black magic - that's what its about. Any text on hypnosis or mentalism will tell you you mustn't use it for immoral purposes. But there's a devil in all of us and it is precisely for immoral purposes we want to use it! Without it you cant go far. Succeed with mind power and all ritualism becomes a piece of cake. Usually writers on mind power stay clear of making specific claims for fear of offending someone. As a black magician I have no such sensibilities. The reader of my book is smarter than that. For instance, mind power and health claims are considered taboo. You mustn't claim this and you mustn't claim that. Someone, somewhere is going to be offended. But the reality is that virtually every health problem  if not all  is susceptible to the power of the mind. I know for an absolute fact that most acute health problems respond to the power of mind. I dont have to make up anything and I have no time for those who do. Because I see genuine results all the time. Follow my books instructions and you will also see genuine results. Mind power it not hocus pocus: quite the contrary, as you will discover in my book. I accept the criticism of hocus pocus when it comes to black magic ritual (even though I know it works), but that charge against mind power alone just wont stand up. You can make yourself a magnet to others through mind power, the black magicians way. There is no limit to the power of imagination. You can gain the respect of others.You can become a magnet to the person or persons you seek to attract. You can improve your financial status. You need not want for money. You can possess personal magnetism: that elusive quality that magnetically and irresistibly pulls! This is true power. And without lighting a single candle! It will seem like magic  but then magic always starts in the mind. But mind power is not mere psychology or positive thinking. It operates through the psychic charge of the subconscious  that lower strata of consciousness which releases amazing energy. I can show how you may never be vulnerable to psychic attack: and all through the simple application of mind power. You needn't want for anything again. 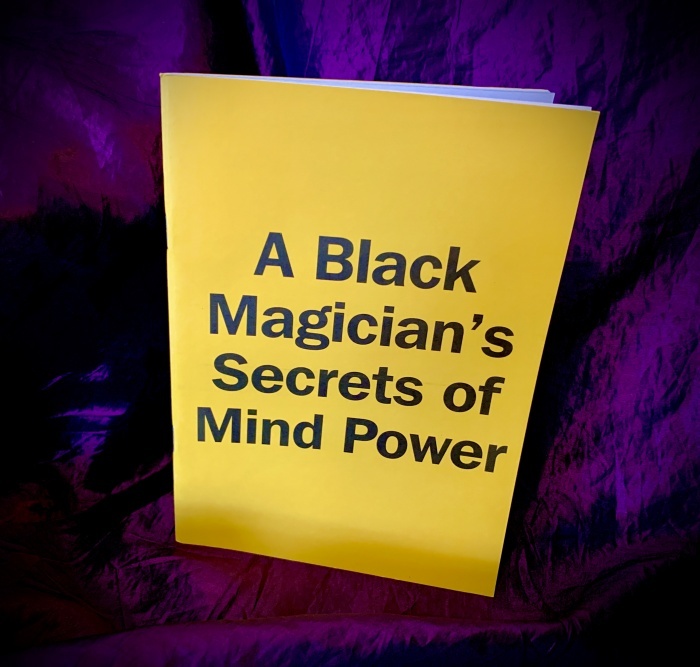 Trust your instincts: A Black Magicians Secrets of Mind Power is one book you know you should have.